As we roll into August, so do students across the country as they return to their respectful college campuses to begin the school year. With a large congregation of cars on college campuses, it can present an opportunity for local vandals to seize the chance to find a student's valuables within their grasp. 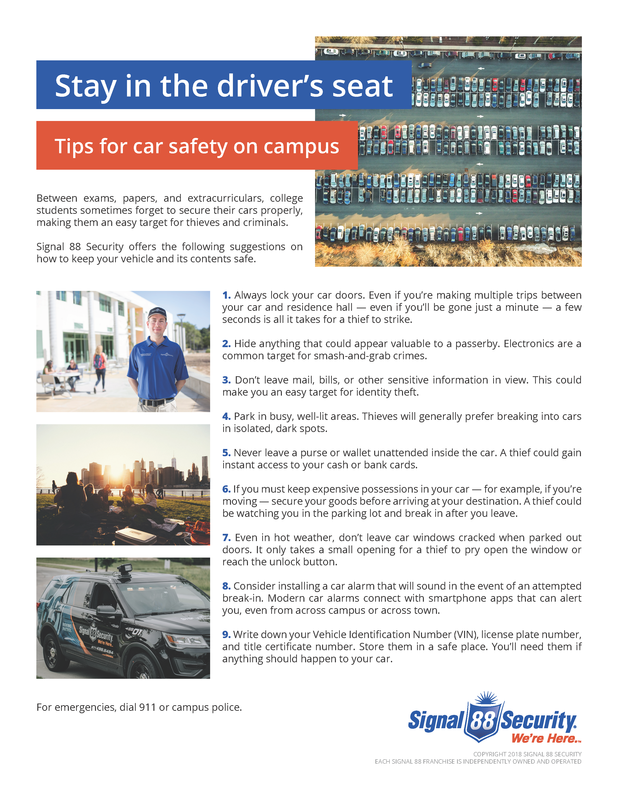 Luckily, Signal 88 Security is here to provide our students with some helpful campus parking safety tips to practice as they head back to school this month. Download our Campus Parking Safety flyer here.